Named one of the “16 Best Entrepreneurs in America” by Sir Richard Branson, she accompanied the adventurous business legend on a 50,000-mile trip around the world, alternately helping improve the lives of others (designing sustainable development initiatives in South African villages) and fearing for her own (rappelling out of a Black helicopter in a Moroccan sandstorm). She was also the first civilian mom to experience zero gravity aboard a “space plane,” an experience she will never, ever repeat. Their journey, titled “The Rebel Billionaire,” was televised on Fox TV in 2005 for an audience of 8 million viewers. 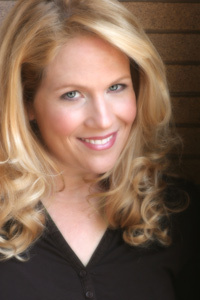 Heather is also a former Disney executive. She launched several of the company’s first, award-winning websites, and holds the distinction of being the first person to ever answer Mickey Mouse’s email. When not castle hunting in her husband’s native Scotland, she fills her days with her two beautiful daughters, Hunter and Hadley, and son, Gavin. Heather is both a fiction and nonfiction writer. For a list of all of Heather’s published books, you can visit her website at: www.heather-maclean.com.